I was born and grew up in London, England. Originally a quiet child, I went somewhat wild in my youth, then quite a lot wilder until my mid-twenties when it became a case of stop or die. After being a mature student and travelling for a short while, I started a job as a recruitment consultant in information security, and I’ve been doing that for well over a decade. Sadly, I’ve had a fair amount of trauma in my life, but it has been something I have chosen to put to use in my writing. My maternal grandmother was a writer, and I am sure she would have been the inspiration for me to start. When I began, at thirteen years old or so, I wrote poetry, and it was probably for a release. Though on its own writing wasn’t enough, and I very quickly found drugs and alcohol too. For fiction, I write crime (with a female slant). 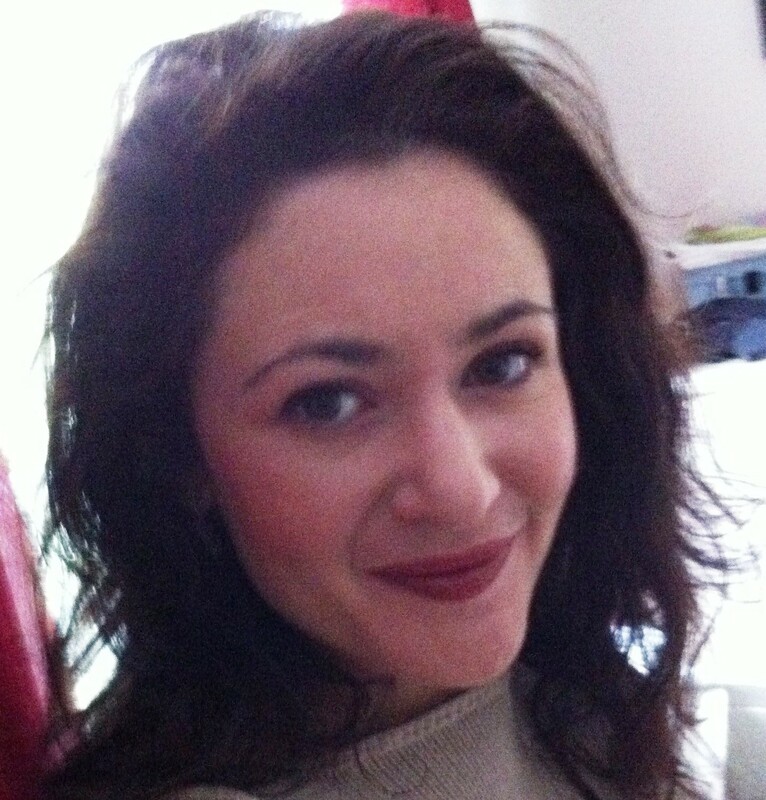 I am also involved in non-fiction for my charity and campaigning work in the areas of human rights and anti-sexual exploitation. What’s your process? Seat of pants, well-devised outline? For the first book in the Soul Destruction series, “Soul Destruction: Unforgivable”, I had the whole plot laid out, scene by scene. But in the early stages, the characters went off in a new direction, and I had no choice but to follow. I laid out a new plot, again scene by scene, and the original plot is now going to form book three in the series. However, even though I plotted out the remainder of the book, I was always led by my characters and would constantly change what I had planned, and never change what they were doing. Writing to me is like watching a movie and then reporting on what I see. I might have a plan for something to happen in a particular place, but when the character gets to the destination, something else might happen, so that’s what I write. Or they might not make it to the destination, and something else happens instead, so I write that. Soul Destruction Diary: Inescapable, which is the first in a spin-off series from Soul Destruction, is written as I go along in a way. There are certain things I have planned to take place, but I am very much letting the characters lead me there, and they’ve taken me on some interesting detours so far. I like writing that way too. I am often asked this question, but with posttraumatic stress disorder, countless overdoses and a history of drug addiction and alcoholism, my memory isn’t good enough to ever give an accurate answer. There are authors I loved, but I can’t say why or if they’ve influenced me, I just remember reading their books a lot, such as Irvine Welsh and Martin Amis. 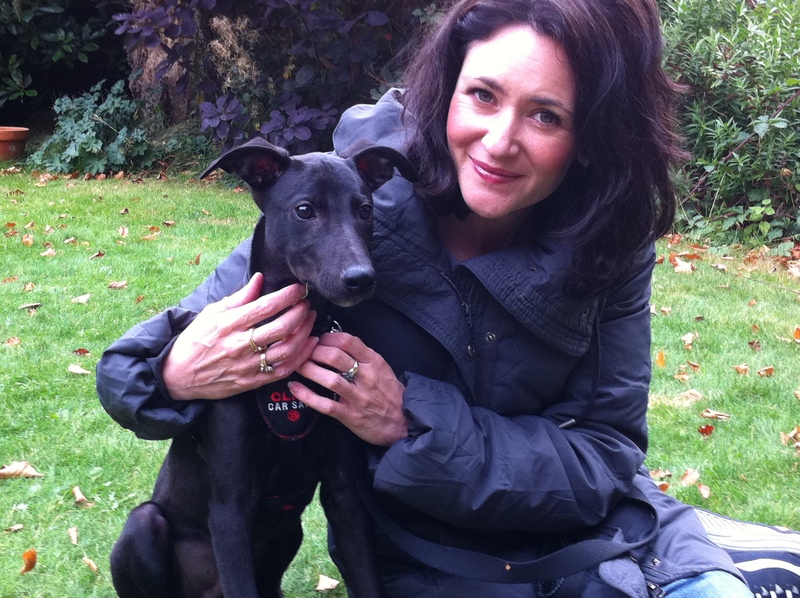 I also read a lot of Martina Cole’s books years ago too. Ian Ayris’s novel, “Abide with Me”, is a great book I read last year, as was Mandasue Heller’s “The Driver”. After reading Ian’s novel I was inspired to write a short story, Protection, which can be read online here. 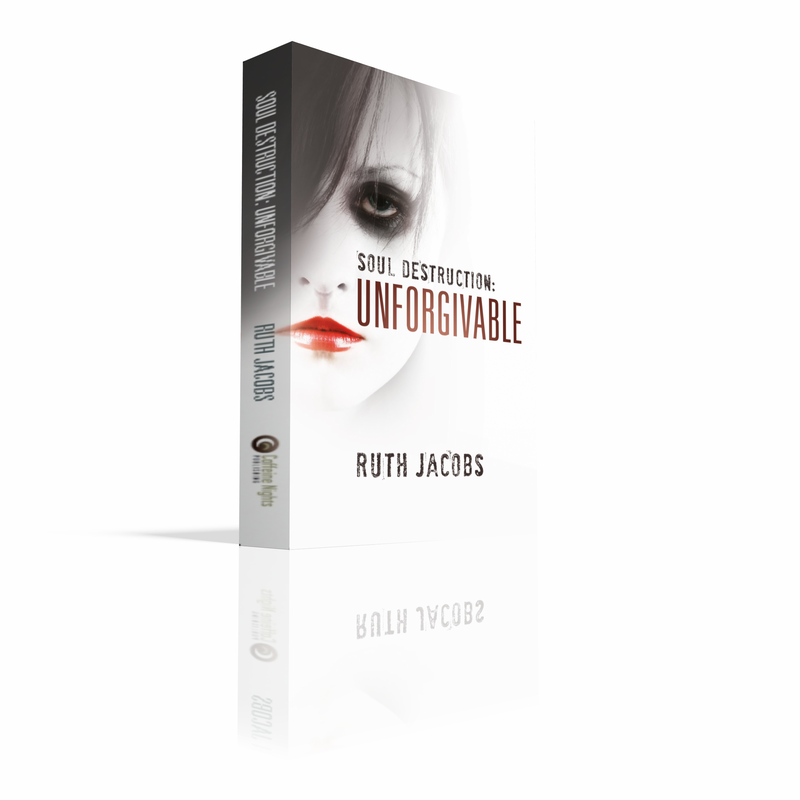 It would have to be my debut novel, Soul Destruction: Unforgivable. My heart is in that book and it is dedicated to my friend, Q, who is no longer alive. 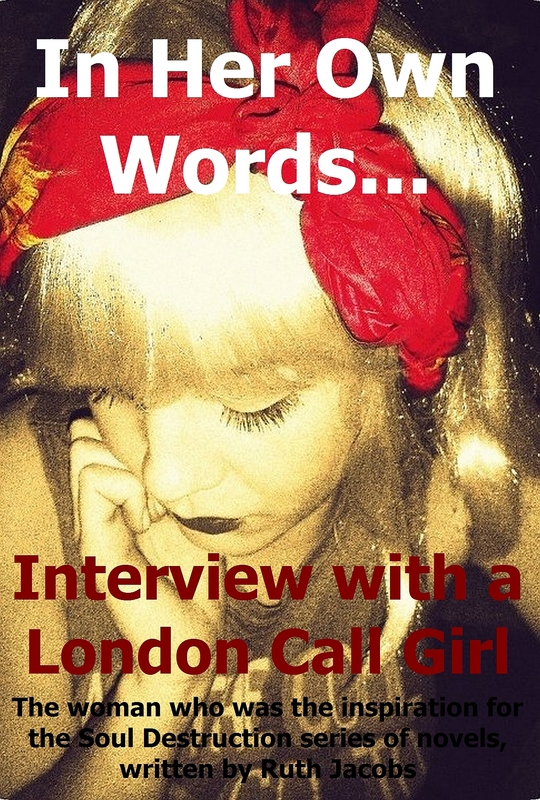 She is the woman interviewed in my charity publication, In Her Own Words… Interview with a London Call Girl. I have an idea in my head, which is often based loosely on someone I have known or know, or a combination of people mixed together. Then as I write about them, I get to know who they really are by what they do, what they say, how they interact with the other characters etc. and they become their own people. Some of my characters have a little of me in them, even if it’s just a tiny sprinkling – not sure if that’s a good or bad thing, just the way it is. The best has been getting the publishing deal with Caffeine Nights for Soul Destruction: Unforgivable which is being released on 29 April 2013. The worst experiences of my writing come from what I believe and hope makes it real. I write about painful things, traumatic things, and to do that authentically I have to put myself back in time in some horrific situations. The best advice has been from a variety of people, but Mandasue Heller and Kimberley Chambers especially gave me hope with their supportive and wise words, which came at a time when I had received some of the worst advice ever. Obviously, I listened to Kimberley and Mandasue as they are the experts. Sadly, the poor advice came from people who don’t understand my subject matter, prostitution, and the very real women involved in that world – they look down on them and judge them. That is something I hope my work will help change. 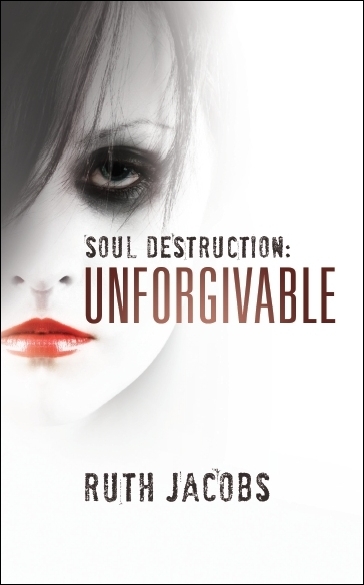 “Soul Destruction: Unforgivable” – to be released 29 April 2013. Available worldwide from all online retailers in paperback and ebook. Pre-orders will be available from 29 March direct from Caffeine Nights. My work is very real. Yes, it is fiction, but it is true to life, and I write to that reality. The media has glamorized prostitution at the level of being a call girl. Not only is that an incorrect message, but it is a dangerous one, especially to those who are most likely to end up in prostitution, vulnerable young girls and women. From all I have seen of that life and the many women I have known in it, and most of them call girls, it is still a dangerous and traumatic way to earn money. I once experienced a short phase of painting everything black. Where can readers find out more about you and yours work? We wish you the very best with your writing, Ruth. Keep us posted on your success!